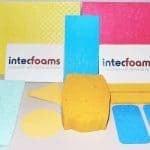 Intec Foams are experienced in the conversion and supply of Quality Neoprene closed cell sponge rubbers. There are several different densities of these foams which are manufactured in raw block form or in Rolls. The flexibility of our foams, means that they are suitable for a wide variety of applications. With our vast experience and knowledge of Neoprene Sponge we can help you in the selection of the correct grade and design of a finished product to keep unit costs down and to help in keeping your own labour costs down in assembly. At Intec Foams we pride ourselves in being able to supply simple 1 off’s through to many thousands within short Lead Times. We have a system to create samples and low cost proto-types for you prior to bulk ordering. Apart from supplying simple sheets, pads or rolls Plain or self adhesive backed, we can cut into various finished products. Vent and Air Conditioning Seals. CNC Die cutting to create 2 dimensional shapes in the most economical way. These are copolymers of Neoprene and EPDM closed cell sponge rubbers, which offer the properties of both grades of materials. The blend ratio’s dictate the properties to a certain extent. Such foams are becoming increasingly the predominant grades, replacing both pure Neoprene and EPDM as a good General Purpose grade of sponge rubber. Flame Retardant classification to UL94 HF 1 is available. 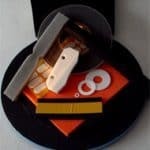 The foams can be supplied with or without a self adhesive backing and can be cut into coils for sealing tapes. 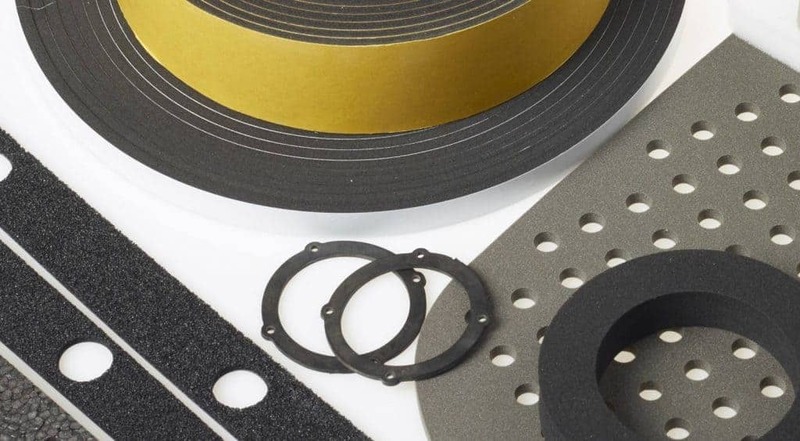 Neoprene foam or sponge rubber is used in a variety of products and applications, from watersports clothing to seals, gaskets, and medical products. We supply and convert all Neoprene and EPDM blends for trade and industry.